Discipline and a lack of possession costed Italy dearly the home team against an unimpressive Wales outfit. The visitors winning 26 to 15 in Rome. Warren Gatland made several changes to his starting XV after the win in Paris, where they capitalised on every French error, maybe to explore the depth of his team with the World Cup in mind. The move didn’t gave the expected results, despite a comfortable win, Wales didn’t impressed and wasn’t able to score a try in the first half of the game, despite all the possession and territory. The Dragons lacked aggressiveness and determination to take full advantage of Italy’s short-comes. Italy returned home empty handed after a poor display in Edinburg and Conor O’Shea made some minor adjustments to his best possible starters. The Wild Boars showed some progress, especially in the aerial game, but were limped by the 11 penalties conceded and the territory: they spent only 14% of the game in Welsh 22, half of the time they defended their red zone. The Welsh scrum started the game strongly, demolishing the Wild Boars in the first set piece of the match and establishing its dominance throughout the first half. 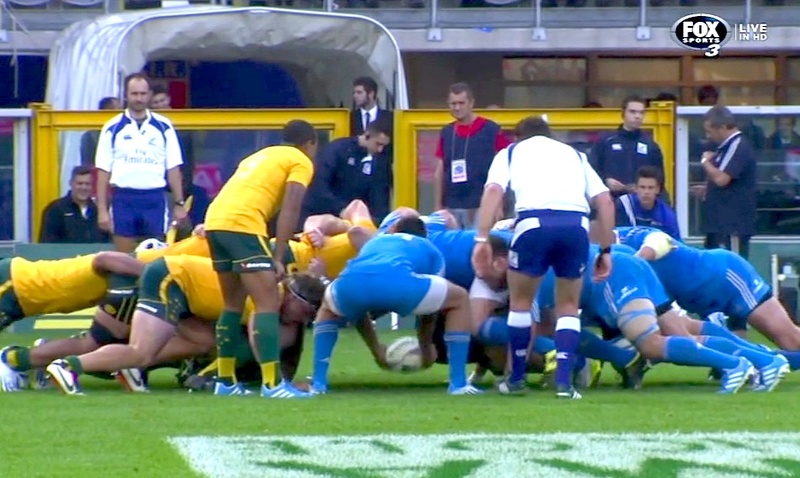 On the contrary, the line out was largely won by Italy, with Braam Steyn the stand out player in this set piece. Italy conceded a penalty in front of the posts after less than a minute and Dan Biggar didn’t waste any time to put the Dragons in front. Italy conceded another penalty in similar position from a scrum at the 14th minute and Biggar took again the easy 3 pointer. The Welsh kept the control of ball and territory and asked more questions to the Italian defence, which conceded another penalty, in this case for being offside. Biggar went for the third time for the posts, and slotted the kick from 38m for a easy 9 – 0 advantage. Finally Italy gained a penalty of his own and pushed for the first time into Welsh territory after the first quarter of the game was already gone. Although Welsh backrower Beard stole the ball from the maul and nullified the efforts. 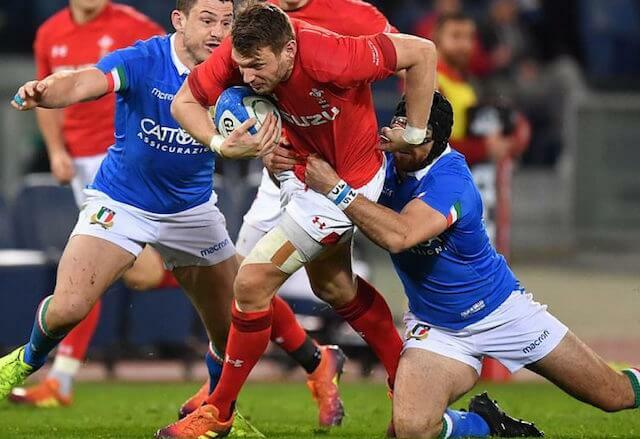 Welsh ball possession was quickly re-established and thank to the aerial game the Dragons made ways in the Italian 22m to gain another penalty for the fourth kick of their flyhalf Biggar. Italy went for the line out instead of kicking for a penalty just after the half hour and managed a series of phases in front of the Welsh posts which gave Eastern Cape born flanker Braam Steyn the first try of the match. 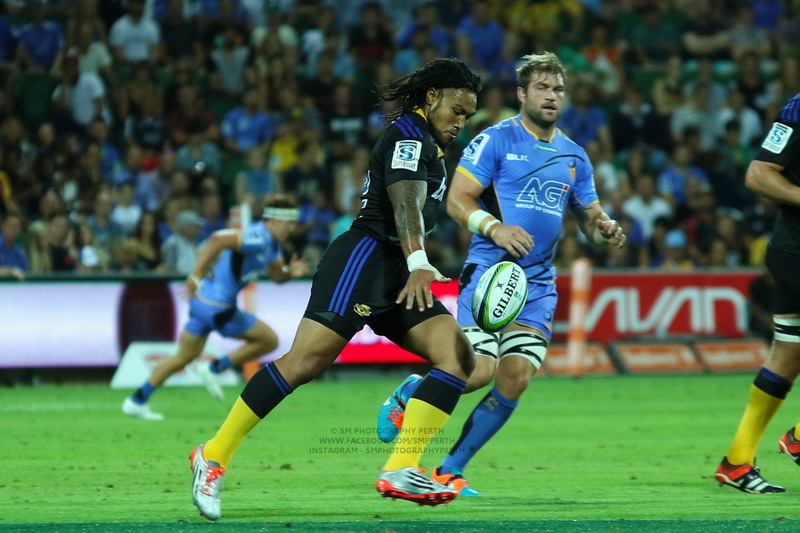 Allan didn’t miss the easy conversion to close the gap. The Italian scrum adjusted to the opponents to win a penalty just before the break, the Welsh irregularly pulling down the subsequent line out gave Allan the opportunity to kick for the posts, but the flyhalf’s kick hit the left post and the first half ended with the hosts 12-7 in front. Two Welsh infringements in rapid succession gave Italy the first scoring opportunity just 4 minutes in the second half, this time Allan didn’t miss the kick in front of the posts. The Dragons’ reaction was immediate, but try scorerer Steyn stopped the Welsh maul on the 5 meters. The flanker stole also the line out after the kick into touch from Allan, the flyhalf was, as in Edinburgh, forced out for an head assessment with McKinley coming on the field. Wales got a a try of their own thanks to the backs, Davies, Williams and Adams combining on the left side with the latter crossing the chalk. Dan Biggar made the conversion but with his foot losing sharpness in the previous kicks in open play, Gatland decided to put fellow kiwi Anscombe on for the remaining time. Italy’s lack of discipline continued and conceded again costly penalties, Wales decided to turn the screw on them and go for the line out instead of taking the points, although Italy was again able to reagin, although momentarily, possession from the set piece. Despite the wholesale changes the Welsh scrum re-established its dominance creating the next scoring opportunity with 10 minutes to play. After the line out on the kick, the Dragons found space in the middle of the field and scored in a similar way as Scotland done against Italy the week before: a well weighted kick from Anscombe surprised the defenders and centre Watkin touched the ball for his first fiver in 10 matches. A late charge from Italy saw Allan serving a great ball to Padovani for the second try of the match. The flyhalf missed the conversion. 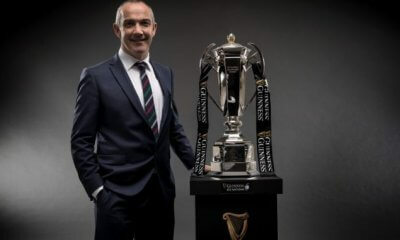 But it was Wales to have the last word of the match scoring a try with Young after the siren, which was disallowed by French referee Raynard due to a forward pass. Well, that was a couple of wasted hours that I’ll never get back. A team made up significantly of Welsh ‘Possibles’ vs. a still-struggling Italy = poor entertainment. Let’s hope Eng v France raises the bar significantly. England certainly raised the bar for Wales next week… it’ll be a grim week of training in Cardiff. They’ve both got nearly two weeks Patrick – it’s going to be interesting. Thanks for the write up 22! Sign of a true fan supporting and writing about your team even when they are the perennial underdogs. I think you are bang on with discipline costing Italy. Wales weren’t that impressive but giving away so much territory and points against a team with a kicker like Dan Biggar is always going to make winning a hard ask. Italy genuinely do seem to have improved although so have the other teams so it’s not so obvious. Some exciting backs and imdustrious forwards. Just need to continue investing in the game and hopefully they can start challenging the top teams. 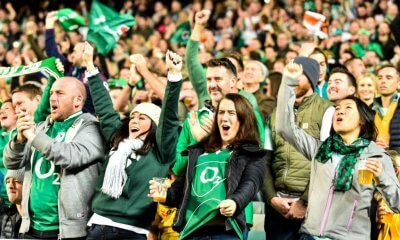 Six Nations Observations: Round 2.